Superdry women's Reah boho jumpsuit. 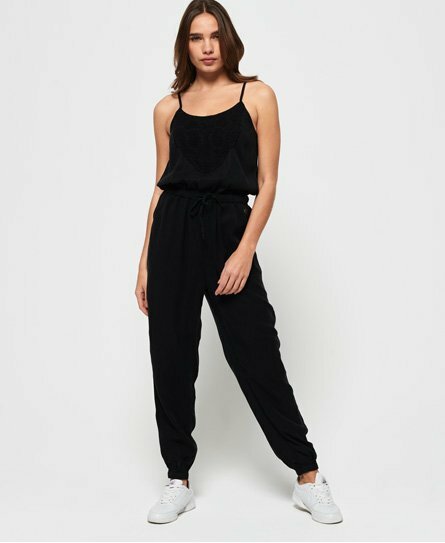 For when you want to look stylish yet stay comfy, the Reah boho jumpsuit is just what you need. An adjustable waist and straps mean you can alter this for your perfect fit, while the two front pockets add an element of practicality. The jumpsuit is completed with crochet detailing on the front to add that boho feel and a subtle logo badge on one pocket. Style with trainers and a denim jacket for a look that works anywhere.